The US State Department has issued a statement criticizing Russia every year since the 2014 attack on Malaysian Airlines Flight 17 which killed 298 people — but not this year. The State Department was silent this year – and Foreign Policy reports that a draft statement criticizing Russia was never made public. A cached version of the US embassy’s website in Moscow shows that a critical statement of Russia appeared briefly on the homepage on Tuesday before being taken down, according to Foreign Policy. A US official confirmed this account to the magazine. "Four years after the downing of MH17, the world still awaits Russia’s acknowledgment of its role," the draft statement read. The State Department has issued a statement every year on the anniversary of the attack since it occurred in 2014. This year's anniversary was particularly significant – the first since a Dutch-led international investigation into the incident concluded that the plane was taken down by a missile from a Russian military unit based near the Ukrainian border. A State Department spokesman declined to comment to Foreign Policy on an allegedly leaked document. 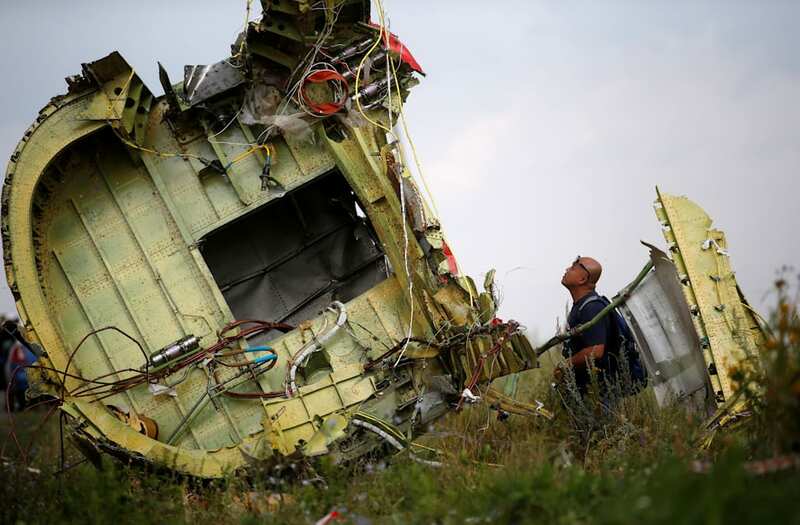 "The United States’ position on the MH17 catastrophe has not changed," he said.